Persia Walker joins bestselling suspense novelist Mary Higgins Clark in inviting you on a tour of Manhattan’s most iconic neighborhoods in this anthology of all-new stories from the Mystery Writers of America. From the Flatiron District (Lee Child) and Greenwich Village (Jeffery Deaver) to Little Italy (T. Jefferson Parker) and Chinatown (S.J. Rozan), you’ll encounter crimes, mysteries, and riddles large and small. 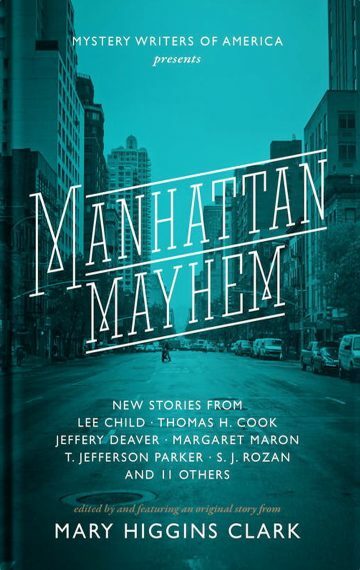 Illustrated with iconic photography of New York City and packaged in a handsome hardcover, Manhattan Mayhem is a delightful read for armchair detectives and armchair travelers alike!